Drone footage of the “No Left Turn” intersection at 5400 South 4015 West what is designed to ease congestion. In the Western Kingdoms of Salt Lake County it was declared by edict, thou shalt not turn left. Even the thought of turning left will incur the wrath of extra driving and time delays. But why? Leonardo Da Vinci once said, “Simplicity is the ultimate sophistication.” This is a sentiment that road planners at UDOT would be wise to consider. Utah’s no-left turn, or as they are called ”ThrU Turn,” intersections complicate the lives of business owners and drivers. And what might have looked like a good idea on paper is not the Holy Grail answer to traffic congestion that planners wanted it to be. Currently there are three such intersections in the state. The intersections in Draper and Layton are close to I-15 access and alleviate congestion during rush hours as people try to get to work or get home. The third is on a city street on the border of Taylorsville and Kearns at 5400 South 4015 West. The ThrU was first adopted in Detroit in the early 60s and is popular in Louisiana where boulevards are split by streetcars. So why does UDOT love the ThrU? 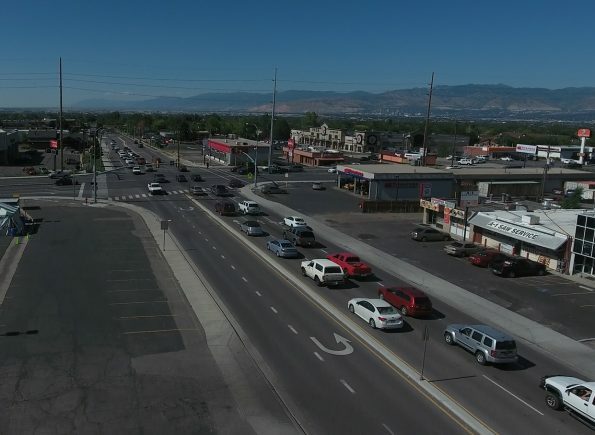 According to Avalos, the western part of the valley has the fastest growing population and UDOT is trying to be proactive in alleviating traffic problems before they start. He says, “We feel we minimized the impact to businesses in that no businesses had to be removed.” 5400 South is also the only street in the state with Flex Lanes that allow shifts in the number of lanes going east and west, adjusting them according to the rush hour flow. The impact on local businesses in the Taylorsville/Kearns area has not been positive. Durfey’s Dry Cleaners is located at 5455 South 4015 West, and has been open for business for about 45 years. The new intersection almost sunk them. Diana Bird, the manager at Durfey’s, says, “It almost completely shut us down. Customers couldn’t get in or out.” During the initial stages they went from five employees to two with not even enough business to give them each 40 hours a week. The only thing that saved them was that they owned the building outright, which kept them afloat. Other places didn’t make it. According to Bird, The Magic Wok, a staple on 5400 South for many years, closed down under pressure from the new design. Other businesses in the area survived but faced lost parking as the street widened, and customer complaints about how hard it is to get to their business. Durfey’s has rebounded as people adjusted to driving in the area and it also helped that four other nearby dry cleaners shut their doors. Unified Police records show accidents have gone up since the intersection changed. 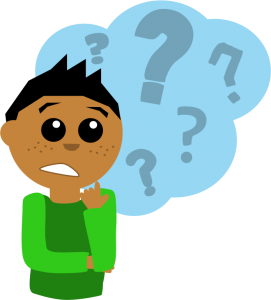 From 2010 to 2011 there were 27 traffic accidents at the intersection of 5400 S and 4015 W. The ThrU intersection opened in November of 2012 and from 2013 to 2014 there were 33 traffic accidents there. So, people adjust the best they can by learning to navigate in a new way. To get to Durfey’s from west-bound 5400 South requires extra time and two turn-arounds. But their customers came back and most think the hassle is worth it. Change is inevitable, but is it always an improvement? The most simple explanation of the ThrU goes something like this: The concept works by eliminating left turns lanes at the given intersection and building “turn arounds” past the light where people can execute a turn back to the intersection and then make a right turn in the direction they want to go. That is, unless you are on 5400 South travelling east and want to turn north. There is no turn around in that direction. Not only are there no left turns at the intersection, median barriers on the streets between the intersection prevent left turns across the street and into local businesses. Trying to explain the concept is daunting, but even more daunting to drive.